Add the perfect glow to your skin while intensely hydrating & nourishing your skin with the Cocoa Brown Chocolate Whip Body Moisturiser! 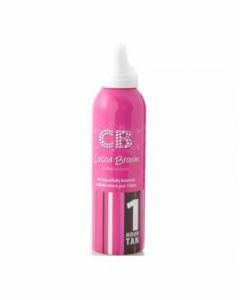 The Cocoa Brown Chocolate Whip Body Moisturiser has been specially formulated to created an even & natural looking tan without any fuss! This sweet smelling moisturizer glides effortlessly over the skin, nourishing & hydrating as it goes. Before you use your preferred Cocoa Brown Tan, apply moisturizer to dry areas such as ankles, elbows, and knees, or any other dry areas. This will help to ensure streak free application and also prevent tan going dark in these areas. 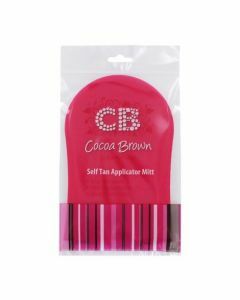 It can be used to prolong the life of your Cocoa Brown Tan and ensure that it fades evenly by applying daily from the day after an application. It can also be used as a general body moisturizer by applying daily to leave skin feeling hydrated and smooth without feeling greasy or oily. Exfoliate skin prior to applying Cocoa Brown Chocolate Whip Oil Free Body Moisturiser. You can get dressed within minutes of application.